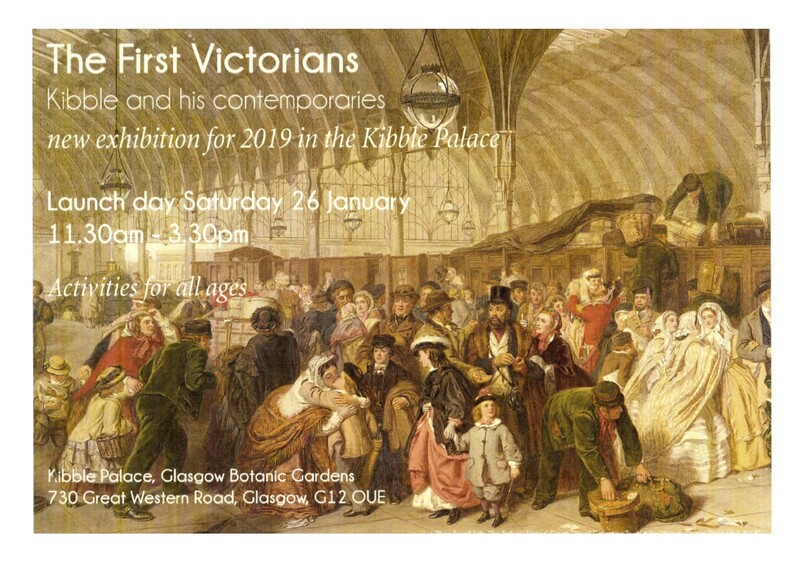 Dr Helen Kingstone, Lecturer in Victorian Studies (University of Glasgow), will open the evening with a short talk on the ‘Born in 1819’ Project with the associated exhibition New Victorians: Kibble and his Contemporaries still running in the Kibble Palace. Our main speaker will be Alasdair Hood, ex-curator of Dundee Botanic Gardens, who will taking about his 20 years at Dundee Botanic Gardens along with other events in his Life in Horticulture. 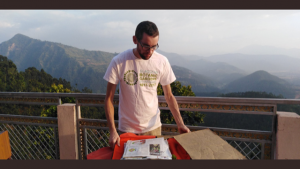 Alasdair most recently collaborated with Christine Nicholson (GBG-Orchid Propagator) and staff members from RBGE in a collecting expedition to the Alpes-Maritimes in France. Its a ‘well done’ to Christine Nicholson (GBG-Orchid Propagator) for producing some award winning plants for the Scottish Orchid Society display at the North East England Orchid Society Show. The Paphiopedilum appletonianum won Best Society Plant for the Scottish Orchid Society display as well as a Highly Commended for the overall show. 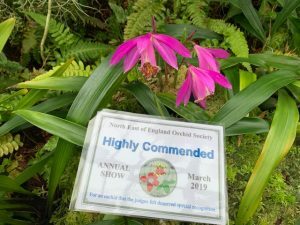 The Pleione pictured below, also won Highly Commended for the overall show. 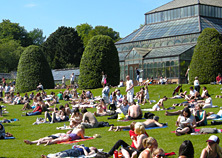 Don’t forget that the Glasgow Botanic Gardens Orchid Fair will take place on Saturday 11th and Sunday 12th of May. 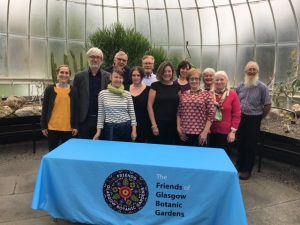 As part of the monthly series of meetings, this month the Friends of Glasgow Botanic Gardens play host to Dr Alan Elliott, research associate from Royal Botanic Garden Edinburgh. 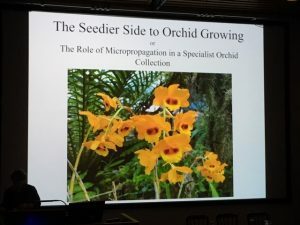 Alan’s doctoral studies centered on the bio-geography of Meconopsis and in this talk he expands on this topic to cover the collection and propagation of this iconic genus. Alan will outline plans to start collecting seed to grow specimens for Glasgow Botanic Gardens. We have reused last years page hence the mention of 2017 in the web address sorry for any confusion. 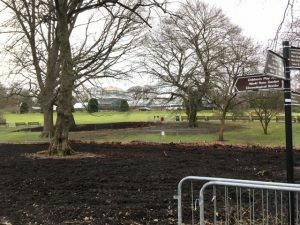 We are now heading towards 2019 at a rapid rate of knots but it’s worth a quick glance back at some events and developments this year at Glasgow Botanic Gardens. 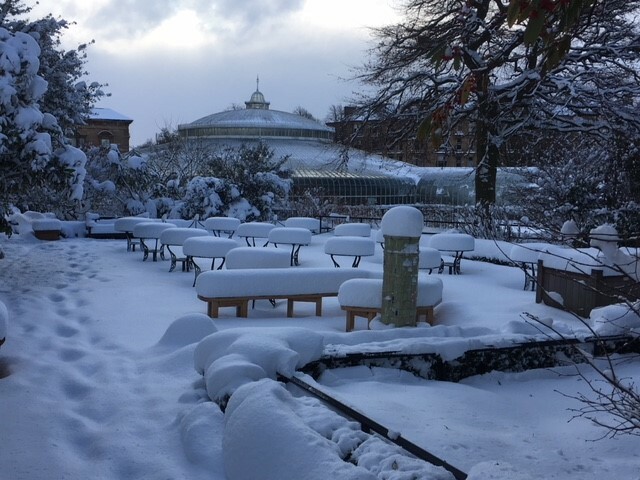 It started very dramatically with the winter storms that deposited several inches of snow on the Gardens during January and February. 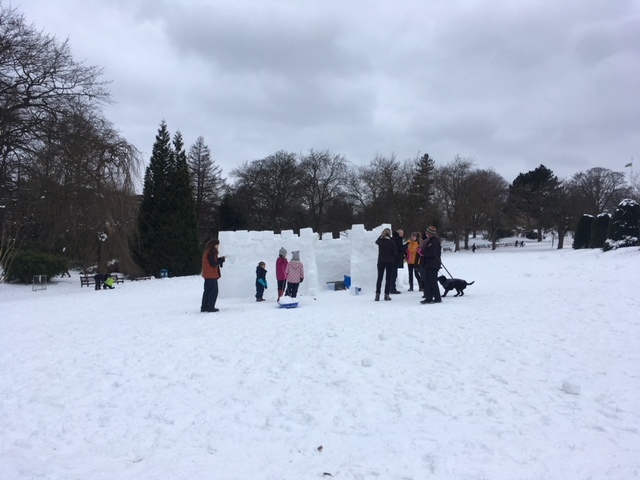 It even led to the most serious snow construction we have ever seen on the main lawn, the snow castle. The snow castle featured in the local news and its creators used it as a hub to gather money for a homelessness charity. 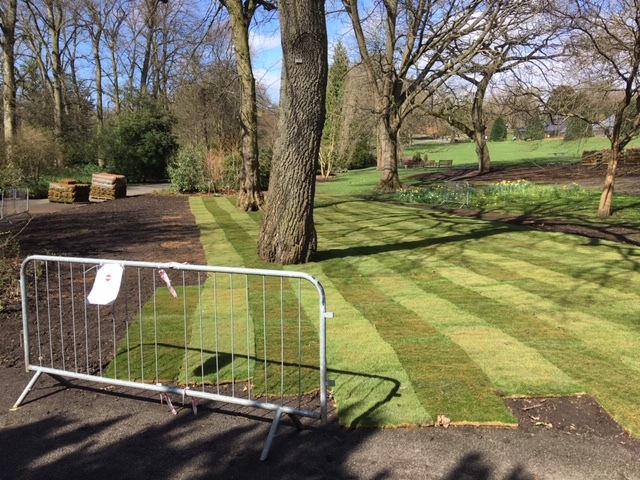 We soon got round to work, once the snow had melted, and turfed the beds at the main entrance to the Gardens. 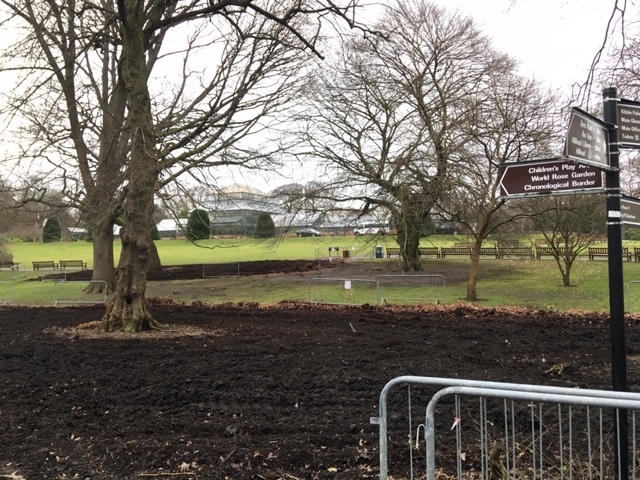 These beds had problems with Phytophthora ramorum and, rather than fence them off for 5 years, we have used the turf as a barrier between the soil and people feet/ pets’ paws. 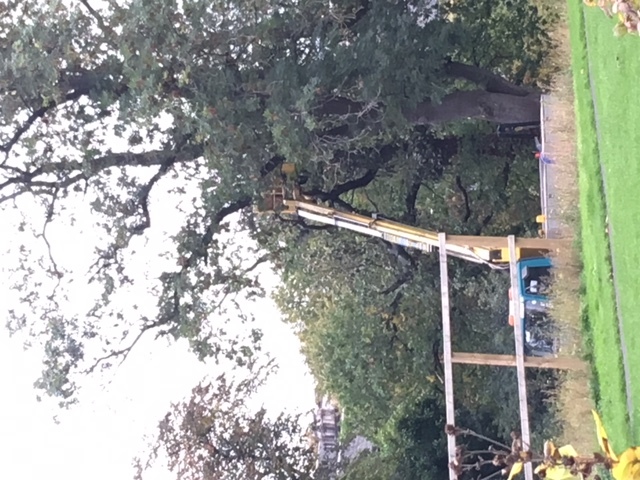 This will hopefully prevent the disease spreading around the Garden. 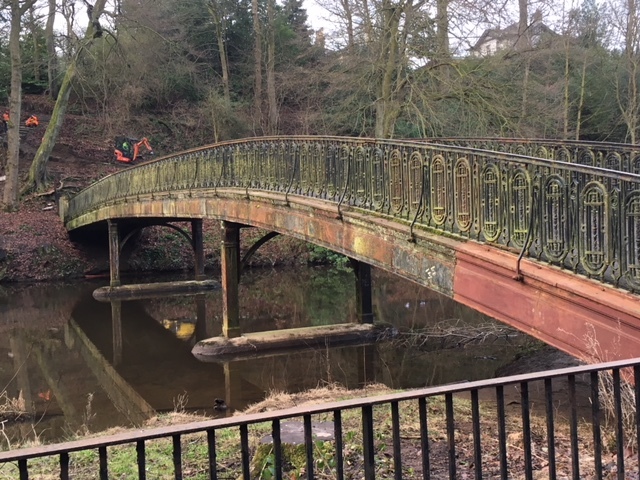 Several larger scale engineering works saw path improvements, on the north of the River Kelvin and, of course, the Humpback Bridge improvements. 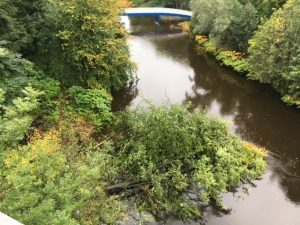 The bridge remained closed for several months, as the contractors found more decay in the central spans than expected, but the wait was worth it. 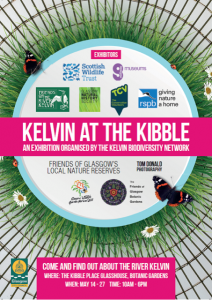 The Kibble Palace has played host to several exhibitions and events including the Kelvin Biodiversity Network’s ‘Kelvin at the Kibble’ display which saw several organisations with a common interest in the River Kelvin exhibiting and hosting engagement days. Next year the focus will be on plastics and sustainability with the ‘battle upstream’ to prevent local litter becoming marine pollution. 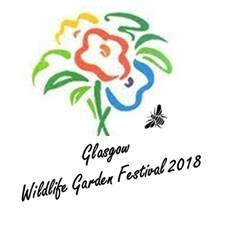 The thirtieth anniversary of the Glasgow Garden Festival was marked by the Glasgow Wildlife Garden Festival with exhibitions and a bio-blitz. 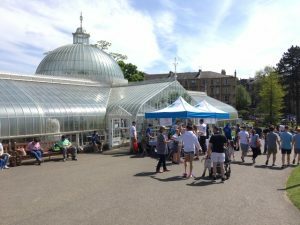 We worked closely with RSPB and the event, plus the launch of our mini-beast trail for young children, has been a great success. The Friends of Glasgow Botanic Gardens provided funding for several projects around the Gardens including the Habitat art exhibition. 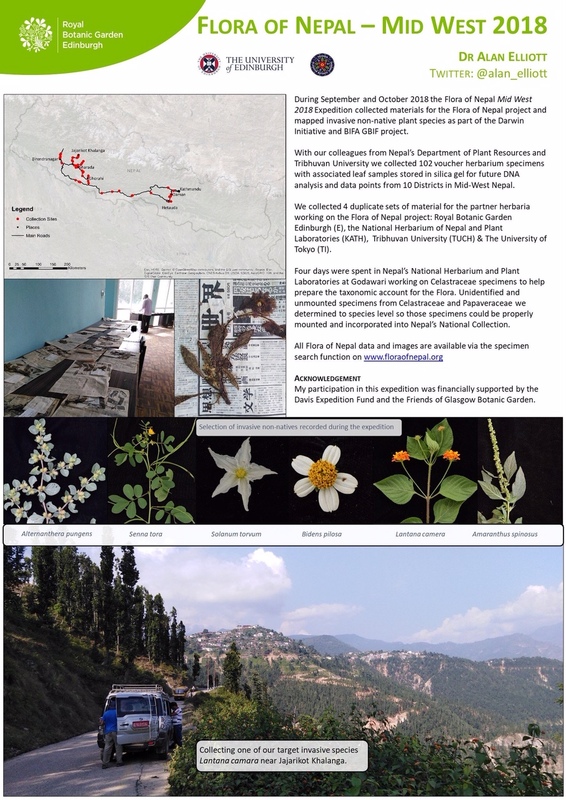 This used the plant collections to spark memories in people and ask the question ‘Which plants mean home?’. It was great to work with artist Martha Orbach, the Maryhill Integration Network and the Govan Community Project and we hope to do more with these organistaions in the future. 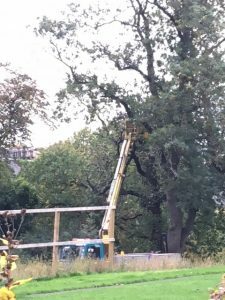 With the movement towards taking education into the outdoors the Friends backed the construction of the Outdoor Classroom several years ago. 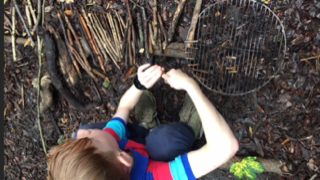 This year the Gardens organised a pilot outdoor teaching and engagement week. 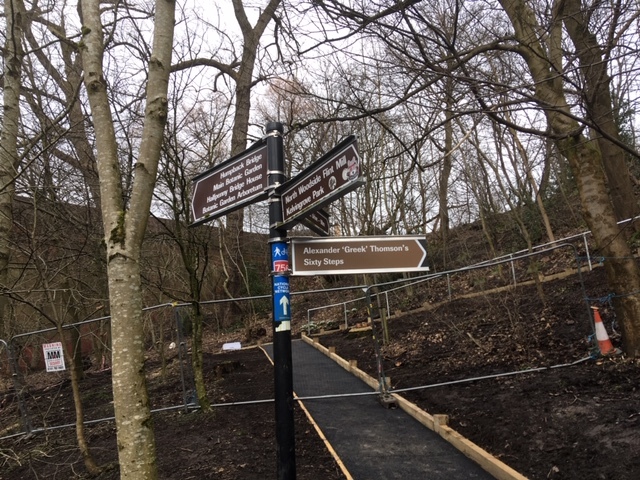 It was funded by the Friends and delivered by Glasgow Region Outdoor and Woodland Learning Group (GROWL). We set up a campsite at the old coup in the arboretum and, with invaluable support from Kelvinside Allotment Association at the Kirklee Allotment site, the boys and girls from Maryhill Safe til 6 After School had an amazing time. There was fruit picking, jam making, pizza and fire pits. The feedback was great and we are going to be actively looking for funders in 2019. 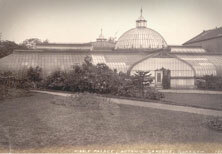 The Friends of Glasgow Botanic Gardens are also funding the creation of a digital inventory for books held in the Botanics’ library. 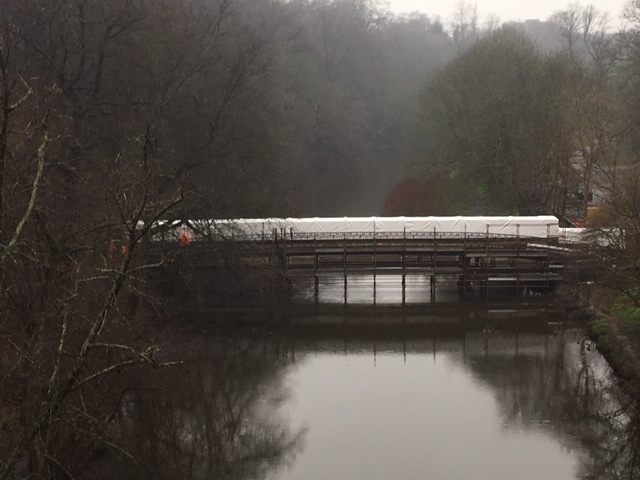 We aim to have this project completed in 2019, and we will attach a link to this website so a wider audience can search through the resources. This project is ably led by Librarian Rob Westwood. Another cultural use of the collections was as a backdrop to the Chinese Community Development Partnership exhibition. 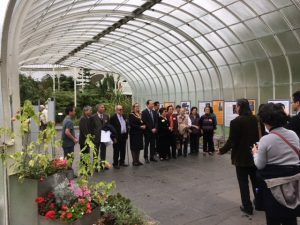 Based on stories of the older Glasgow Chinese community, their experiences of life in Glasgow was recorded and displayed alongside pictures of those interviewed. 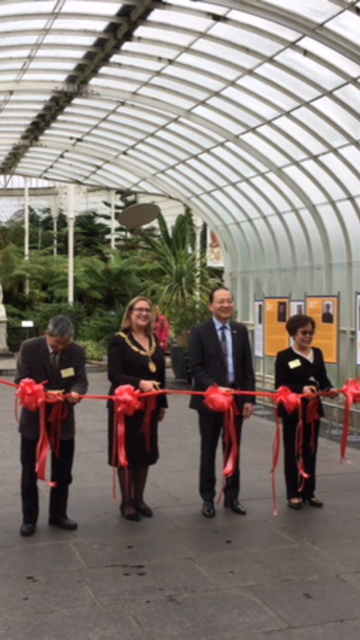 We were delighted to welcome the Lord Provost, the Chinese Counsel General and many members of the Glasgow Chinese community to the exhibition launch. The RBGE Certificate of Practical Horticulture, delivered onsite and administered by the Friends, is now in its 6th year. Former Curator Paul Matthews (far right) is pictured below with another successful group of students at the Certificate presentation ceremony in September. We wish all this year’s students well and hope they enjoying putting what they have learned into practice. 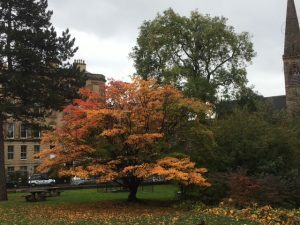 Many CPH students now go on to study on the Scottish Rural Colleges (SRUC) HNC Horticulture course, now in its second year at Glasgow Botanic Gardens. Knowledge sharing of another sort was underway recently as our Orchid Propagator, Christine delivered a lecture (pictured below at RBGE) as part of Plant Heritage Collection Holders’ Conference. 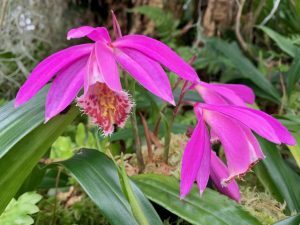 The Friends have been supporting the enhancement of the Dendrobium collection at Glasgow. 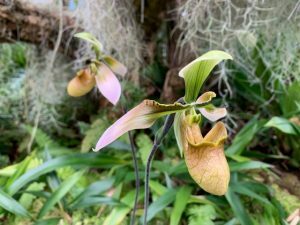 Christine’s walks and talks on the orchid collection at Glasgow are always very well attended and it is good to see her taking her enthusiasm further afield. 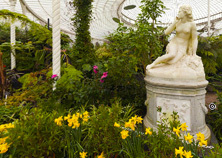 Plant Heritage are the co-ordinating body for the National Plant Collections in the UK. 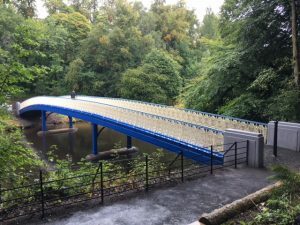 Glasgow has three National Collections (as you will all know by now theses are Begonia, Dendrobium Orchids and Arborescent Ferns) and Plant Heritage have awarded a grant to enable GBG to update the interpretation on the Begonia Collection. The Begonia genera is a focus of taxonomic and bio-geographical study at Edinburgh and the number of species recognised has jumped to around 2000, so we are keen that our interpretation reflects current thinking. 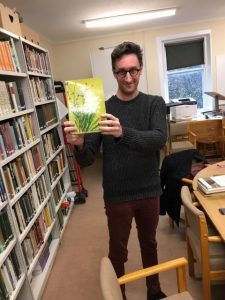 Our Begonia collection information was reviewed this year as part of our annual Macintyre Begonia Trust funded collection management programme and Dr Alan Elliott was tasked with carrying out the work. The Friends also provided Dr Elliott with funds for his recent trip to Nepal where he assisted Nepalese scientists with research into invasive species as part of the Flora of Nepal Project. Alan will also be assisting Glasgow Botanic Gardens with a series of interpretation panels for the main range of glasshouses in 2019. In the picture below he ‘models’ the 1817-2017 Glasgow Botanic Gardens Bi-Centenary t-shirt in front of a Nepalese mountain backdrop. 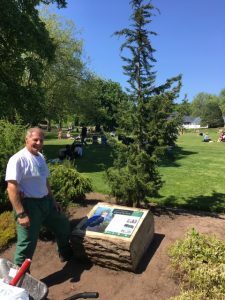 We also work closely with the RBGE based International Conifer Conservation Project (ICCP) and regular visitors will have noticed some new plantings, and interpretation signs for older plantings appear round the Garden. 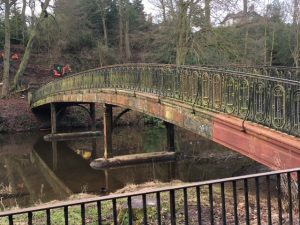 We are very keen that the story of the plant collections within Glasgow Botanic Gardens is shared with as many visitors and students alike and the ICCP is a worthy conservation project. Glasgow Botanic Gardens propagator and general mr-fix-it Stevie is pictured below in front of new interpretation panel for the conifer, Fitzroya cupressioides. 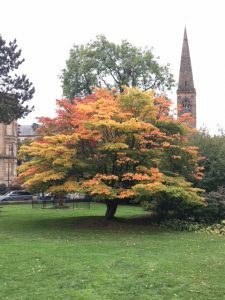 This is endangered in its native range in Chile and Glasgow provides not only a good site to grow the tree (Yes, it likes wet and boggy conditions!!) 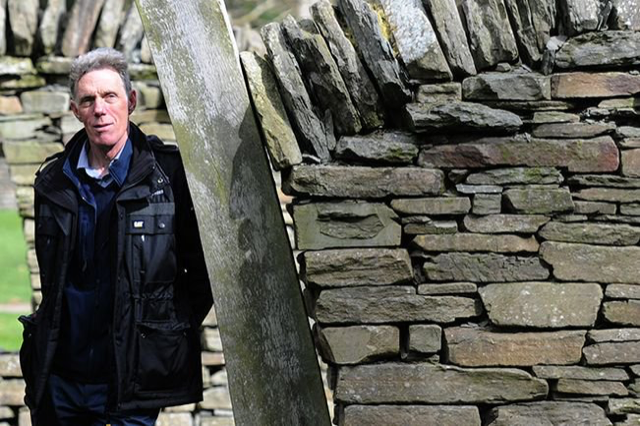 and it is a good engagement site for the Project due to our large visitor numbers. Watch out for more ICCP plantings and interpretation in 2019. 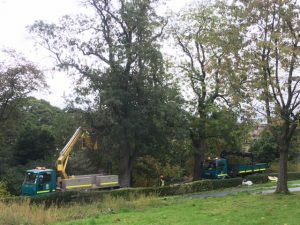 The interpretation was jointly funded by Glasgow Tree Lovers Society, Glasgow City Council and the Friends group. On the subject of conservation, the Millennium Seed Bank at Kew have been exploring new ways of improving the viability of plant material stored for future conservation programmes. Researchers are looking at cryogenic storage matched with invitro germination methods for some target species and Glasgow was able to supply plant material from the fern family, Hymenophyllaceae. 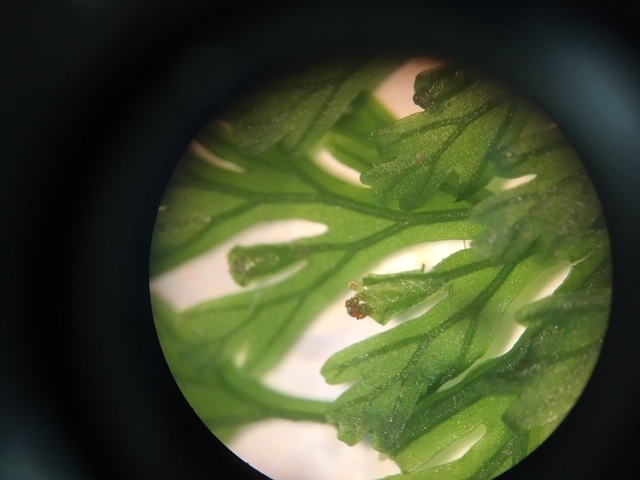 The minute spore-producing structures are just visible on the picture below, if you follow the vein on the ‘leaf’ to the end. Filmy ferns like cool, damp conditions without strong sunlight so it’s not really a surprise Glasgow growing conditions suit these particular plants. We moved from damp to scorching and dry during the summer. Our summer was long and hot but the brief period of Autumn this year provided some striking colours around the Gardens. As well as our own team of horticulturalists we are assisted in keeping the Gardens maintained by several sets of much appreciated volunteers. 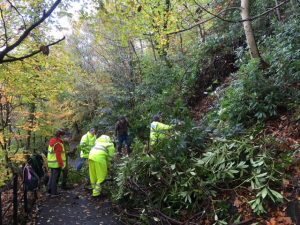 Our own regular Tuesday and Thursday volunteer group (above) are sometimes joined by occasional groups, like the one pictured below from Scottish Water, who help with rhododendron removal along the walkways. 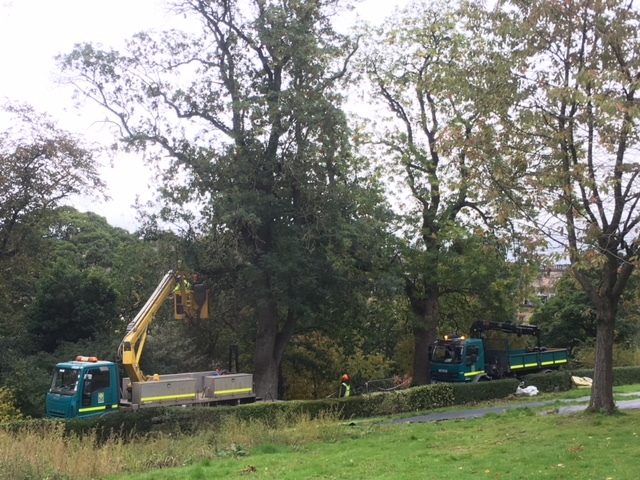 Storm Ali brought strong winds that gusted around the Garden and caused considerable damage, especially to some of the more mature trees that were still in full leaf. 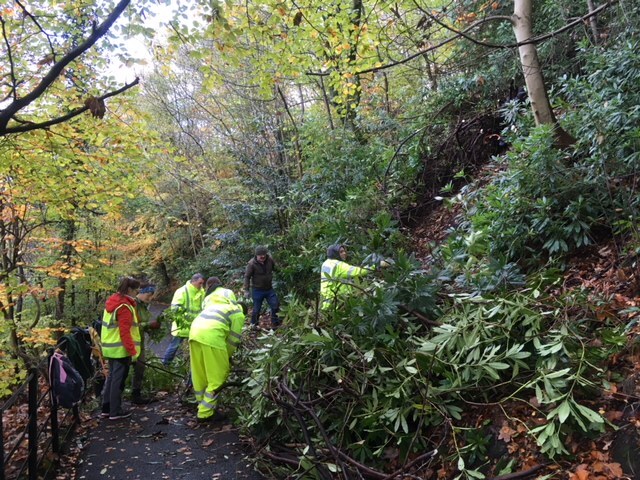 Glasgow City Council arboriculture team were very busy but found time to make several damaged trees safe again so we could fully reopen the path network. 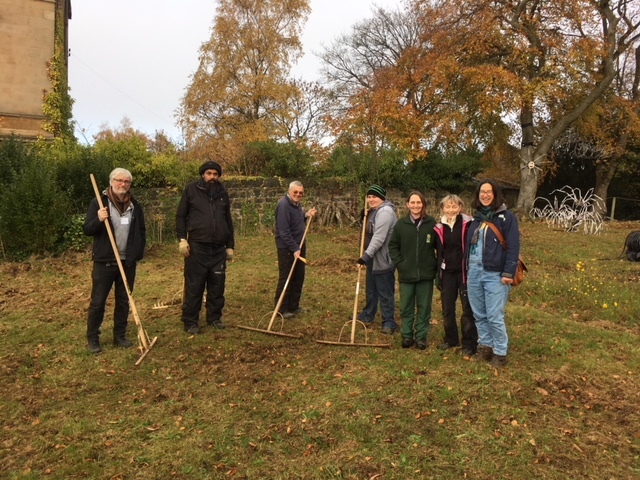 We thank all the arbor and Gardens team for their hard work and also Garden visitors for their understanding when we had numerous path closed signs in place. 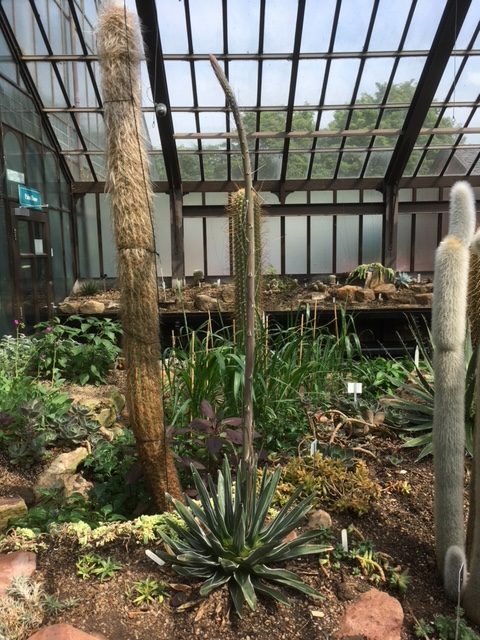 Inside the Glasshouses the main improvement programme was centered on the Arid houses and these were replanted to represent African arid regions and American arid regions. 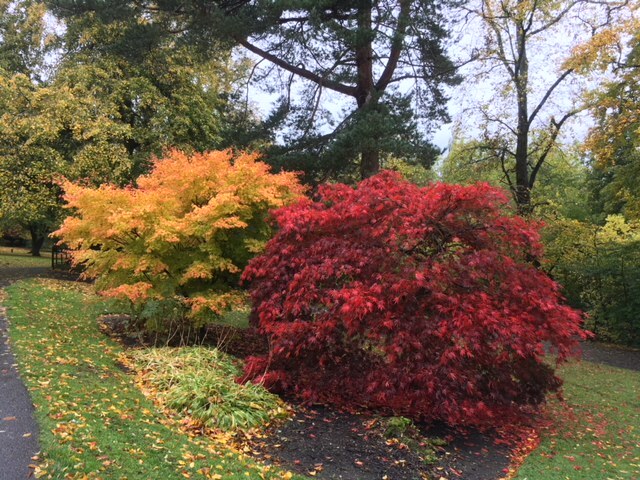 This necessitated a review of our plantings and a lot of work was done by the indoor team. 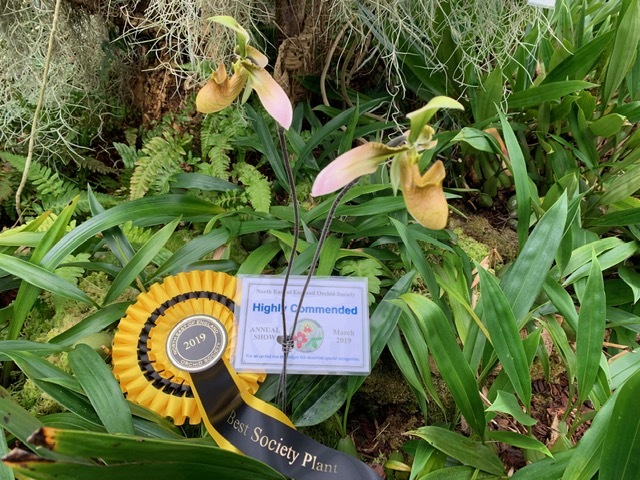 The resulting planting scheme has been very well received by the public and has featured in several magazine articles, with CactusWorld featuring two articles in their 4th edition this year and listing the house as a must visit for their readers. 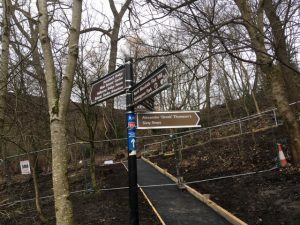 Thanks are due to Louise and the two Stevens for driving this project forward. The picture below is of the newly identified Agave nickelsiae sending up its extraordinarily tall flower spike in the American Arid house. There is much more to show, and more to share but much of it is better experienced with an actual visit. So why not make your 2019 new year resolution to visit Glasgow Botanic Gardens more often and get involved with our plant collections, our volunteers, our events…..our community. 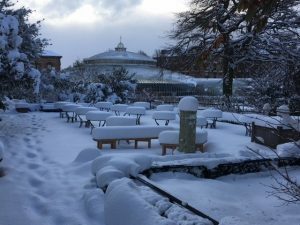 We wish you a Merry Christmas and a Happy New Year from all the Glasgow Botanic Gardens Team. 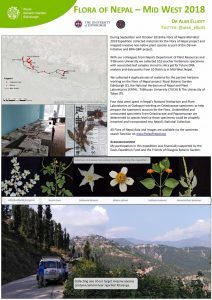 We will be putting up our Index Seminum Seed Exchange List on the 10rd December 2018. 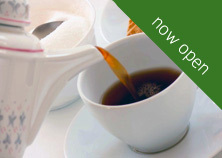 The form will be available for completion online only this year and we hope to have orders processed by early 2019. 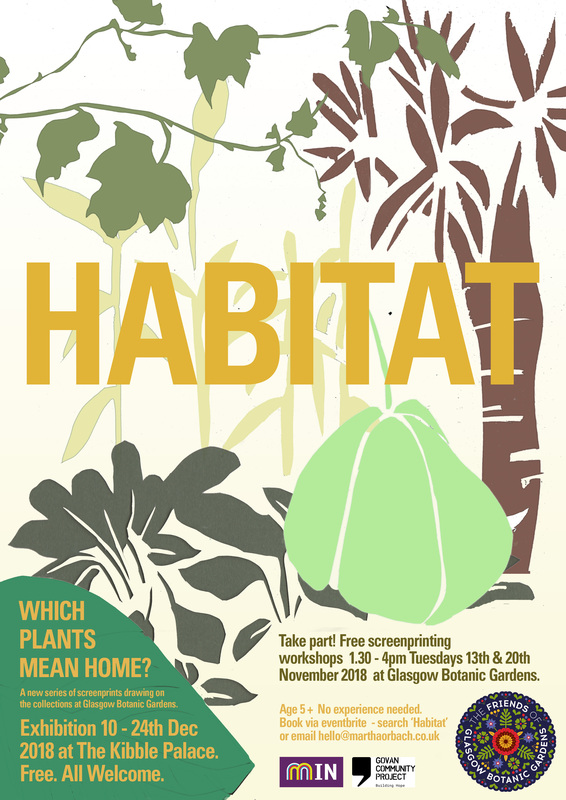 HABITAT-an exhibition. 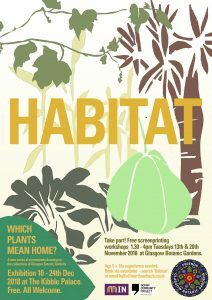 What plants remind you of home? 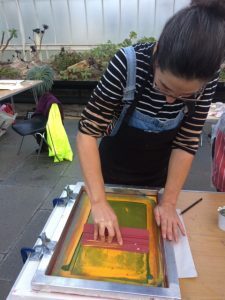 With the help from local artist Martha Orbach we are running a couple of drawing sessions and screen-printing workshops culminating in an exhibition in the Kibble Palace in December. The Friends are working with Maryhill Integration Network, Govan Community Projects to deliver this project with the opening day on Human Rights Day, 10th December.